June 2017 sees the launch of our Value Range. The initiative has been created to address the needs of our customers, who are looking for quality cost-effective solutions with the emphasis being on practicality. Our Value range provides good quality product options, at keen prices, for those times when it’s not necessary to choose the most expensive options. The introduction of the Value range gives our customers a choice, cost-effective reliable product range that compliments our traditional Premium core range of products. The GrafterTM Connector Series where our first product to be launched within the Value range. The GrafterTM Range of plugs and sockets maintain IP68 environmental protection while reducing the size and the overall cost. The packaging change is designed to help customers make informed choices. 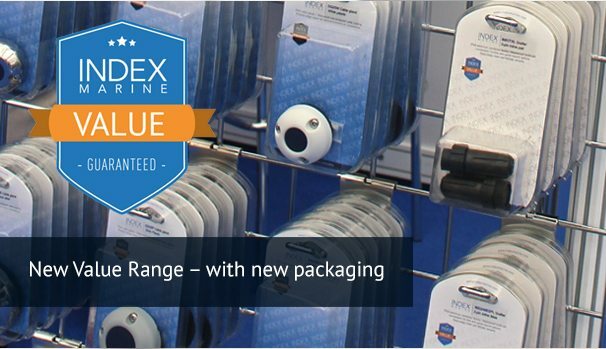 The Value range defined by its white colouring and Value icon, is differentiated from our Premium range which is blue with its Premium icon so that our customers can instantly identify the product range they are interested in. We take Corporate Social Responsibly (CSR) seriously, therefore, it was paramount that our new packaging mitigated unnecessary packing materials. All product lines have specially designed packaging, sized to suit and both the blister style plastic and card inserts are fully recyclable.